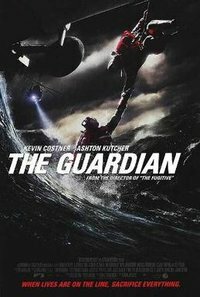 The Guardian is a 2006 action-adventure drama film directed by Andrew Davis. The film stars Kevin Costner, Ashton Kutcher and Melissa Sagemiller. The film's title is introduced by a mythic tale: people lost at sea often claim they feel a presence lifting them to the surface, breathing life into their bodies while they are waiting for help to arrive. They call this presence "The Guardian". The setting for the film is the United States Coast Guard and their Aviation Survival Technician (AST) program. The Guardian was released on September 29, 2006. • 'America's Got Talent' judge Melanie "Mel B" Brown: I had a four-year relationship with a woman, my husband and I are "perverts"
This webpage uses material from the Wikipedia article "The_Guardian_%282006_film%29" and is licensed under the GNU Free Documentation License. Reality TV World is not responsible for any errors or omissions the Wikipedia article may contain.